Opiate addiction is not just related to pure naturally occurring opioids, but it applies to their synthetic equivalents as well. The characteristic experiences with respect to cravings and the kind of withdrawal distress that addicts do face has a pattern to it. Whether it is about making use of opiate addiction treatment; methadone for opiate addiction; or Suboxone® for opiate addiction, our counselors have a method of dealing with the de-addiction requirements of the patients who approach our Recovery Concepts De-addiction facility in the Greenville area. It is commonly seen that those who make use of opiates use it for sufficient amount of time to fall in to the traps of physical dependence on the drug, which is definitely not a good thing. 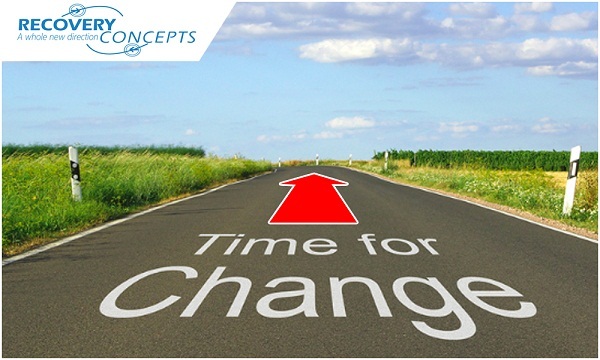 Gradual withdrawal of opiates is important to avoid the complications of withdrawal in the addiction recovery process. The craving process is pretty over powering. Anyone who is addicted definitely does required medical attention. Patients who develop drug tolerance tend to require a very high dosage of the same drug to achieve similar results. Managing withdrawal, preventing withdrawal, weaning off drugs in tapered dosages, medication-assisted maintenance programs are all part of the de-addiction programs offered to patients to help them with recovery. The kind of physical dependence that is triggered varies between the type of opiate being used. A sudden withdrawal; however, leads to a major degree of discomfort in the patient both physiologically and psychologically. 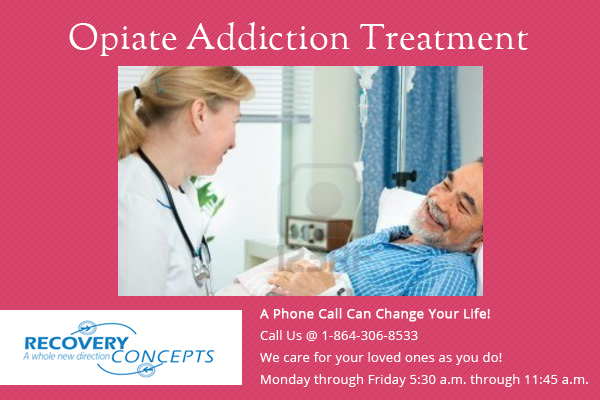 Therefore, any kind of opiate treatment is not done in a rapid manner. This means the decrease in the dosage should be gradual. A major decrease in the dosage might not be effective in cases where the usage has been long term. Life stressors, conditions like usage of alcohol along with opiates, major psychological illness, co-occurring disorders, and major physiological disorders should all be considered when it comes to deciding on the opiate addiction treatment. Well-experienced counselors understand the dos and don’ts involved in any kind of drug de-addiction treatment program. Making use of the medications to treat drug dependence has been found to be extremely useful. Our counselors and physicians at Recovery Concepts facility in the Greenville area, offer a realistic recovery plan after carefully considering the patient history and the pattern of addiction and the related withdrawal symptoms the patient might probably encounter. Our specialists are very particular about avoiding misguided treatment protocols. There are many individuals who continue to use opiates despite facing problems induced by opiates. The incidence of relapse is very high in cases of opiate detox in the absence of after-care treatment. However, in cases where there is medical supervision after the detox, the recovery has been found to be stable in cases of 1, 3 or 5 years of sustained care – the longer the addiction the longer the follow up. Sustained care and follow up matters in a great deal when it comes to avoiding relapse. For now, Methadone is considered to be the Gold Standard Treatment for opiate de-addiction. This is incorporated along with group therapy, social cognitive training skills, academic skills training, and other kinds of tailor-made therapeutic counseling processes to suit individual patient requirements. When programs are tailor made to suit individual addiction patterns with regular follow up care, excellent results are achieved.